The purpose of this project was to evaluate a new training initiative in select neighbourhoods within Schlegel Villages retirement homes to determine if the training influenced the mealtime experience for residents living with dementia. 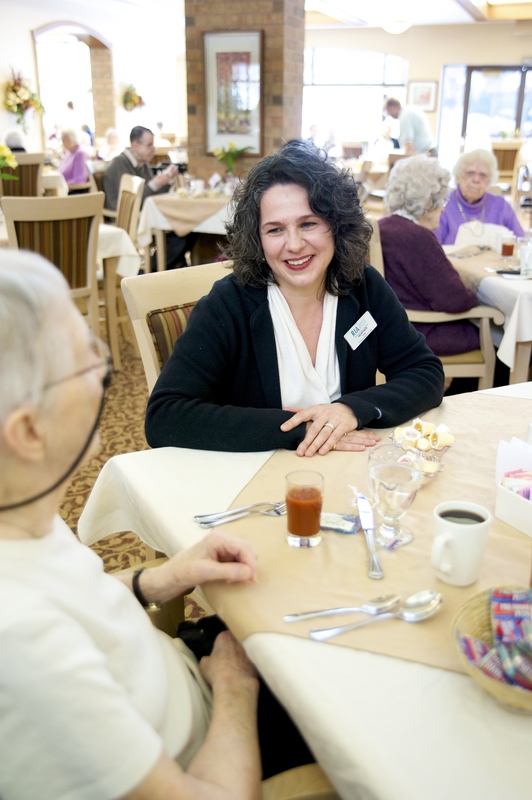 A new training initiative was developed by Schlegel Villages for team members to better support retirement residents living with dementia at mealtimes. The goal of this initiative was to increase social interactions, independence, and engagement in mealtime activities. The research team observed mealtimes in three participating neighbourhoods, one of which received the new training. Information was gathered to see if the neighbourhood that received the training had a different dining experience compared to neighbourhoods that did not. Specifically, the research team looked at differences in the physical dining environment, team member practices, and resident social interactions and engagement. Team members, residents and family members were interviewed to understand their thoughts about mealtimes. Team members also completed a brief mealtime experience survey. The results of this study helped the research team understand whether this new training program shifted practice and enhanced the dining experience for team members, residents and their families. Overall, the neighbourhood that received the training scored significantly higher on a number of measures related to dining experience compared to those that did not the training. This suggests that the newly developed training did influence team practices and the meal environment.